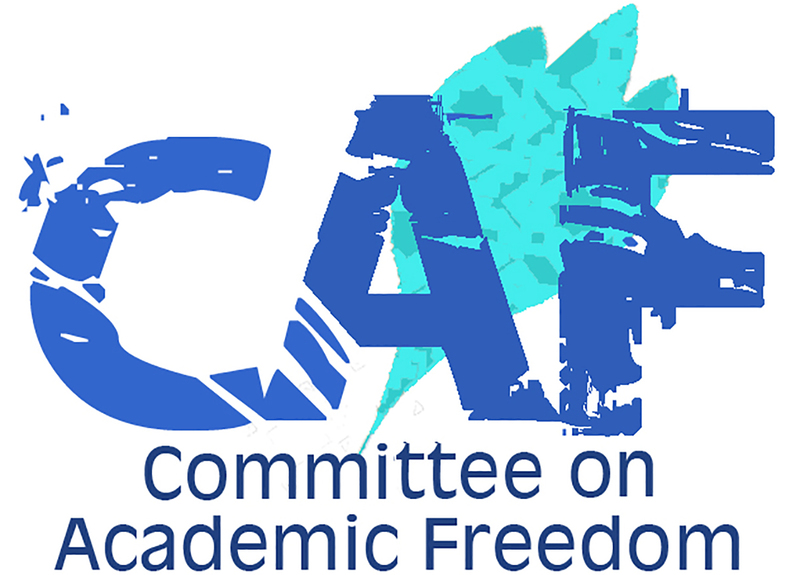 We write on behalf of the Middle East Studies Association (MESA) of North America and its Committee on Academic Freedom in order to register our concerns regarding the recent cancellation by the university administration of a search for director of the Prince Alwaleed Bin Talal Bin Abdulaziz Alsaud Center for American Studies and Research (CASAR) at the American University of Beirut (AUB). The cancellation of such a search by administrative fiat is a serious violation of the academic freedom of the AUB faculty as they exercise their autonomous judgment in order to determine the candidates they deem best fit to contribute to the university community. In 2015, CASAR ran a search for a new director, led by its interim director, visiting Professor Lisa Hajjar of the University of California, Santa Barbara, along with a committee that included five AUB Professors of different ranks. In mid-March 2016 the search committee submitted its recommendations to Dean Patrick McGreevy that the position be offered to Dr. Steven Salaita, who holds the Edward Said Chair of American Studies at AUB (2015-16). On March 29, Dean McGreevy took the CASAR director recommendation to the Faculty of Arts and Sciences Advisory Committee. As English would be the most appropriate disciplinary home for Salaita, the chair of the English Department intended to put the matter of an appointment to a vote at the next meeting. On March 30, the university unexpectedly cancelled the search, claiming there had been “procedural irregularities,” namely, that junior faculty and visiting professors were not permitted to serve on search committees. As chapter 2, section 3.10.b of the University Faculty Manual states, “evaluation of candidates for appointment shall be restricted to the voting faculty members of equal or higher ranks than those of the faculty members being considered,” which would seem to invalidate the service of the committee of assistant professors, and Professor Hajjar, who is a visiting professor. However, Section 5, article 3, of the AUB Bylaws of the Faculties indicates, “the dean can appoint faculty members of appropriate professorial rank from other departments/tracks to serve on extended departmental committees.” In other words, it was permissible according to university regulations for assistant professors to serve on the committee. Furthermore, not only does this also mean that it was permissible for Professor Hajjar to lead the search committee, but given her position as acting director of CASAR, it was absolutely essential. While university regulations stipulate that visiting professors may not vote on such appointments, there was no procedural violation here given that the chair of a search committee does not have voting privileges. Indeed, Professor Hajjar did not cast a vote. On May 30, Philip Khoury, Chair of the Board of Trustees, and Walid Chammah, Chair of the Audit Committee, sent an email to the university community re-stating, “there were numerous significant violations of University policies and procedures in connection with the search, and that resulted in a process that was not up to University standards of fairness and transparency.” In conclusion, therefore, “the Board of Trustees fully supports the Administration's termination of the search and its re-initiation in a manner consistent with the University's policies and procedures.” At this point, however, no report of the committee’s findings has been provided to the AUB faculty involved or to the general public. An “internal audit” is a mechanism to investigate financial malfeasance such as fraud or embezzlement within the university, not to adjudicate matters of faculty governance. Even according to the regulations of an internal audit, however, the subject of the audit is consulted in the matter, and permitted to see a a copy of the report before the investigation is closed. None of these procedures were followed, and such procedural irregularities on the part of the university administration must be viewed as an abuse of administrative power. Moreover, the findings of the audit committee have not been made available to the members of the faculty or the general public. There was no opportunity for members of the search committee, the faculty of CASAR or the general public to respond to the draft report of the audit because as of now no report has been produced. The concluding claims made in the statement by the committee are therefore unsubstantiated. MESA is deeply concerned that you and some members of the university administration are now attempting to validate the unilateral cancellation of this international search by finding an ex post facto justification. We therefore call on the AUB administration to provide clear and specific evidence of the alleged procedural violations which was used to justify the cancellation of the search. Absent such evidence, the administration’s actions both violate the academic freedom of the AUB community and set a dangerous precedent for the abrogation of faculty governance. If the administration is unable to produce a compelling justification for its actions, based on the university’s bylaws, then we call upon the president of the university to reverse his decision and allow the search committee to carry out its mandate and proceed with its recommendation for the directorship of CASAR.